Yeah, we got your books. 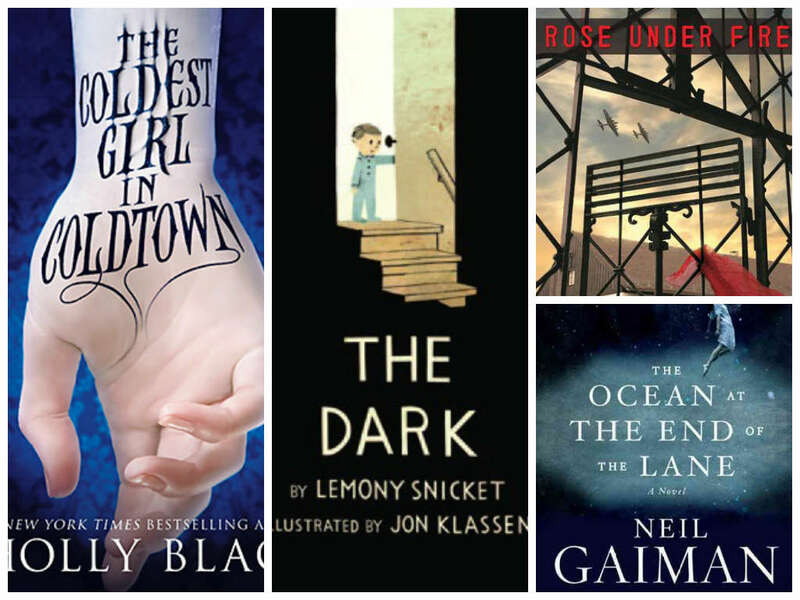 It’s the end of 2013, and that means it’s time to reflect on our reading this year. So many fantastic books! So much awesome storytelling! All three of us went gaga for Rainbow Rowell and Elizabeth Wein and adored Holly Black’s gorgeously dark “Coldest Girl in Coldtown.” We also had many different favorites across both age groups and genres, and spent many hours sharing them with each other – and now with the world! Emily: “Eleanor & Park”, by Rainbow Rowell. Obviously, I’ve become just a tiny bit obsessed with Rowell’s extreme awesomeness, and I keep going back and re-reading sections of this book, and her others. Her next novel, “Landline”, is probably the book I’m most looking forward to in 2014. Katy: “Forgive Me, Leonard Peacock” by Matthew Quick gave me a literal crying-jag hangover, including a headache and the shakes! On a metaphorical level, other characters with tragic stories or mental issues are always compared now, and not always favorably, to the realized, funny and tragic Leonard. Emily: I just, finally, read “Code Name Verity”, and wow. Just wow. I also discovered Laurie R. King’s Mary Russell mysteries, and they have been some of my favorite reads of the year. If you dig Sherlock Holmes but also crave a strong female lead, these books are the best. Katy: I was captivated by Mary Robinette Kowal’s writing, specifically the “Shades of Milk and Honey” series; I also discovered “His Majesty’s Dragon” by Noami Novik for the first time, a shocking lapse on my part. Julie: 2013 was a year rich in amazing sequels – Maggie Stiefvater’s “Dream Thieves,” which I loved even more than “Raven Boys,” and ditto to Marissa Meyer’s “Cinder” sequel “Scarlet.” Sarah Rees Brennan published “Untold,” where she once again proved herself an author who makes you laugh, makes you cry, and then waves something shiny off to one side while sliding a knife between your ribs. “Rose Under Fire” by Elizabeth Wein isn’t strictly a sequel, but it is amazing. Emily: I have been mostly disappointed by the sequels that I’ve read, or tried to read, in 2013, but “Rose Under Fire” was the exception. As I’ve said, I actually read it before “Code Name Verity”, and now I can’t wait to go back and re-read it. I also enjoyed Robin LaFevers “Dark Triumph” somewhat more than its predecessor, “Grave Mercy”. Katy: This isn’t a sequel per se, but I just loved “The Cuckoo’s Calling”, far more what I would have expected from JK Rowling than “The Casual Vacancy”. Cherie Priests’ Clockwork Century series has been getting really excellent, after a slightly slow start. Julie: Probably David Levithan and Andrea Creamer’s “Invisibility,” but I adored “Everyday” so much that it had a really high bar to reach. Emily: This is controversial, I know, but I just could not get into Maggie Stiefvater’s “Dream Thieves”. I adored “Raven Boys”, and I was so looking forward to this one, but it has not grabbed me yet, despite many attempts to get into it. I’m sure that when I do get sucked in, I’ll love it, but it hasn’t happened yet. Katy: “Doll Bones” by Holly Black – not to say that it wasn’t a great kids book; it was a nice, slightly spooky, tale of friendship and adventure. 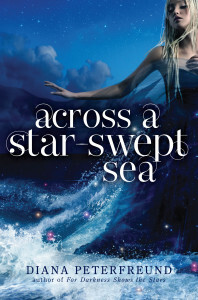 It just didn’t blow me away like her other writing has – I think I was subconsciously expecting the character and story complexity that she brings to her teen novels. Julie: Rainbow Rowell, Prudence Shen and Kelsey Sutton. Emily: Rainbow Rowell, Demetria Lunetta and Paul Rudnick. Katy: Erin Lange, J Anderson Coats and Maureen McQuerry, Lish McBride whenever her next one appears. Julie: That’s a tough one! I really want to finish Rae Carson’s wonderful “Fire and Thorns” trilogy. The first book I’m excited about that’s published in 2014 is “Dreams of the Golden Age” by Carrie Vaughn, out Jan. 7. Emily: As mentioned, Rainbow Rowell’s “Landline”, due in July, tops my list. I also got sneak peeks at a few really exciting winter and spring releases, and the ones that I am most excited for are “Salvage”, by Alexandra Duncan, due in April, “Far From You”, by Tess Sharpe, also due in April, and “Half Bad”, by Sally Green, due in March. Katy: “Fangirl”, which I managed to have put off so far, despite the fangirling of my blogger associates! The book that’s literally on top of my to-read pile is “Fiddlehead” by Cherie Priest. Upcoming titles I’m super excited about include the final Locke & Key volume, “Alpha and Omega” (February), “Raising Steam” by Terry Pratchett (March), and “Skin Game”, the latest Dresen Files book (May). The Hook: A dystopian sci-fi retelling of “The Scarlet Pimpernel” by Baroness Orczy. The Lowdown (from jacket): “Centuries after wars nearly destroyed civilization, the two islands of New Pacifica stand alone, a terraformed paradise where even the Reduction–the devastating brain disorder that sparked the wars–is a distant memory. Yet on the isle of Galatea, an uprising against the ruling aristocrats has turned deadly. The revolutionaries’ weapon is a drug that damages their enemies’ brains, and the only hope is rescue by a mysterious spy known as the Wild Poppy. On the neighboring island of Albion, no one suspects that the Wild Poppy is actually famously frivolous aristocrat Persis Blake. The teenager uses her shallow, socialite trappings to hide her true purpose: her gossipy flutternotes are encrypted plans, her pampered sea mink is genetically engineered for spying, and her well-publicized new romance with handsome Galatean medic Justen Helo… is her most dangerous mission ever. Overall Impressions: If you’ve read The Scarlet Pimpernel, you have a fairly good idea of the overall plot arc. The coolness lies in just what Peterfreund did with that story, including gender flipping and the implications of genetic engineering and its effects over time. The story is told through four viewpoints: Persis (the Wild Poppy), Justen (medical researcher with secret guilt), Remy (Justen’s younger sister and pretty awesome) and Vania (foster sister, villain, remorseless). The changing narrators worked quite well with each having their own voice and worldview. The story becomes a window into cycles of oppression: What is the line between justice and revenge? What is the role of forgiveness? Is it even possible? How do you end the cycles? I appreciated the lack of a love triangle. In fact, romance really takes a background role. Yes, Persis and Justen are pretending to be in a relationship and in the process do fall in love. But the focus is on their beliefs about and reactions to the world in which they live – their separate self-appointed missions, which eventually, after a lot of hiding things from each other, they realize overlap. Persis reminds me of a blend of Hannibal and Face from “The A-Team,” leader, charisma, disguises, bravery, strong moral center, running into danger, determined to do what her country’s leadership refuses to see as needed and save people. Justen’s efforts are more cerebral, spending every possible moment researching a way to make right what he unintentionally caused. You can feel the weight of responsibility on their shoulders. Vania is a very effective villain – a peer and a true believer – but in her focus she had no shades of grey and felt a little flat in character. Persis, Justen and Remy confronted situations that challenged their beliefs and grew from that. Vania … didn’t grow other than into a tighter version of herself. That said, she also seemed a very authentic villain for this kind of story. And as I reflect further, isn’t refusing to change and grow one of our definitions of a villain? The part where a pill was developed that effectively creates dementia in anyone at any age is chilling. Horrifying even. And then it is given (forced) as a punishment. It’s brilliant on the author’s part and a very clever stand-in for beheading. Confession: I have Peterfreund’s “For Darkness Shows the Stars,” which is set in the same world, but haven’t read it yet. I have read Jane Austen’s “Persuasion,” the classic it re-interprets, so I have an idea of the story. I suspect that reading “Darkness” first would make for a richer reading of “Star-Swept Sea,” but it works out of order and on its own. Though I can see how having no knowledge of “Darkness” would make for some confusion when certain characters appear. The Highs: I really enjoyed picturing the over-the-top fashions the Albian aristos wore. I want the Cove dress, just for a few hours. Remy, underestimated by everyone, and utterly fantastic. I was holding my breath for her a few times! Persis’ parents and their love and support of and pride in their daughter, as well as the love they have for each other. Buzzkills: I did get a little tired of Persis reminding herself that she had to be a silly, shallow young woman or the jig would be up. Disclaimer: Neither chocolate or amazing silks were provided by the publisher in exchange for this review. Books are one of our favorite gifts to give or receive….. looking for that perfect “next read” for the book lover in your life? Check out these suggestions, and then hit your local bookstore with confidence. “The Book Thief” is in theaters now – and remember, the book is always better than the movie, and Markus Zusak’s story about a foster girl growing up outside 1939 Munich is powerful and heart-wrenching. For another tale of amazing young women during wartime, head immediately to “Code Name Verity” by Elizabeth Wein. A spy being flown into Occupied France during World War II is captured after being shot down and interrogated by Nazis; she’s writing her confession, remembering and mourning her friend who was piloting the plane. Wein has also written a stunning companion novel, “Rose Under Fire,” telling of a female American pilot and poet captured and sent to the Ravensbruck concentration camp. A streetboy in Nazi-occupied Warsaw is fascinated by the soldiers with their shiny boots and tanks until, as someone small enough to sneak into the Jewish Ghetto, he realizes the implications of their presence in Jerry Spinelli’s “Milkweed.” For slightly younger readers, consider Jane Yolen’s “The Devil’s Arithmetic,” wherein a girl travels back in time to when her grandmother was in a concentration camp. Two other authors making less-known parts of 20th century history come to vivid life are Patricia McCormick and Ruta Sepetys. Based on the true story of Cambodian advocate Arn Chorn-Pond, McCormick takes readers on a harrowing journey into the Cambodian genocide in the 1970s in “Never Fall Down.” Sepetys’ “Between Shades of Gray” immerses readers in a 15-year-old Lithuanian girl’s heart-breaking struggle to survive Soviet labor camps and Siberia following World War II. Sepetys’ second novel, “Out of the Easy,” captures a slice of American history – sweltering 1950s New Orleans, class, race, and Josie’s dream of escaping the box she feels locked into. If you know a reader who likes unusual narrators or storytelling styles – check out Zusak’s earlier book, “I Am the Messenger,” which also received a Printz Honor. A slacker unintentionally foils a bank robbery and then starts getting mysterious instructions in the mail. Daniel Handler teamed up with Maira Kalman for “Why We Broke Up,” wherein a young woman relates the tale of how a relationship grew and ended through the various mementos she tucked away and now is returning to her former boyfriend. I can almost guarantee that you know at least one person who’s in love with True Blood, even if you’re not yet aware of it. Beyond the reigning queens of teen vampire lit (you probably know who I’m talking about), there are some excellent reads out there to (ahem) slake their thirst. My personal favorite is “The Coldest Girl in Coldtown” by Holly Black, for a story that treats vampires with that sort of simultaneous awe and disgust, with a strong-willed female protagonist who can hold her own against the truly nasty tricks of the undead (plus a little romance). “Shadows” by Robin McKinley is another book with that beautiful chemistry of rogue magic, dire peril, and unexpected romance. Gail Garriger’s latest, “Curtsies and Conspiracies”, is the second of a series set in a supernatural Victorian London starring young spy Sophronia; humor and hijinks interweave the mission to save humans and undead alike. Though a few years old now, “Bloodshot” and “Hellbent” by Cherie Priest star a vampire thief in Seattle with a motley crew of misfits, again a funny and action-packed choice. And if you follow the ins and outs of Young Adult literature at all, you probably know that John Green is one of the hottest contemporary YA authors on the planet. The film adaptation of his amazing 2012 novel “The Fault in Our Stars” is on track to be one of the must-see films of 2014. If you’re shopping for a John Green fan, you can pretty well assume that they’ve read all of his books already, but you have the unique opportunity to introduce them to their next favorite author. May I suggest the inestimable Rainbow Rowell as a starting point? 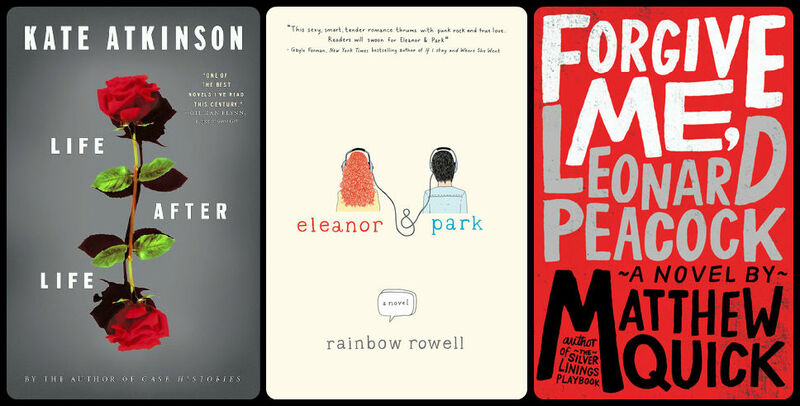 I’ve been calling her “the girl John Green” since I devoured her YA debut, “Eleanor and Park”, and the follow-up, “Fangirl” was equally appealing. She follows the John Green template of writing about teens who are intelligent, funny, troubled and complex, switching easily between gut-busting humor and absolutely devastating poignancy. Incidentally, Green himself is a fan of her writing, so there’s an even better recommendation than my own. Another delightful choice for the John Green reader on your list is “The Disreputable History of Frankie Landau-Banks”, by E. Lockhart. I adored this story of an ugly-duckling-turned-swan who is determined to shift the power at her posh private school by pranking her way into an all-male secret society. Sharp, witty, and just a little bit zany, this is a sleeper that hasn’t gotten the attention that it deserves. My last recommendation, slightly out of left field, is “Going Bovine”, by Libba Bray. This Printz Medal-winning novel is a bizarre retelling of Don Quixote, recounting the adventures of Cameron, a 16-year-old suffering a nasty case of mad cow disease. With the help of an angel, a dwarf and a yard gnome, he sets off on a wild road trip with the hope of finding a cure for what ails him. Again, the mixture of humor and poignancy, not to mention the madcap journey with its colorful cast of supporting characters, will charm your John Green fan. And remember, books are always in season!